For you that don’t know by now NFS stands for Need For Speed and NFSS stands for Need For Speed Shift. So it’s been about a week and a bit since I got NFSS for Xbox 360 and over been loving the game, but there are some small problems with the game If you compare it to GRID. 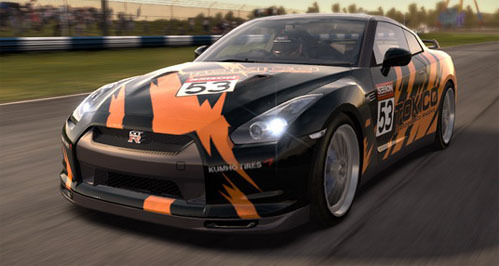 About 2 months before the game was released it was stated that NFSS will have in-depth damage in the game, so did a test fist GRID and then NFSS by taking a really fast car like the Nissan GT R and supping it up to the max like the one below. Once I did that I found a nice straight road and crashed the cars to see what will happen at a speed of around 250 to 300 Km an hour. Well I was a bit shocked with NFSS as the car just carries on. But in GRID this isn’t the case when you crash at high speed your car is really damaged or the car is destroyed. The other problem I found is that sometimes the graphics in the review mirror come and go which could be a problem when you need to see the other cars in the race. The bottom line here is that GRID is still a better game than NFSS. Will report more on this later.